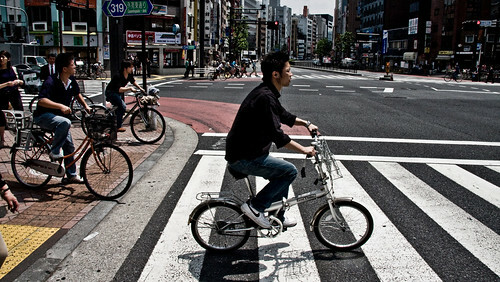 A slice of Tokyo street con biciclette. 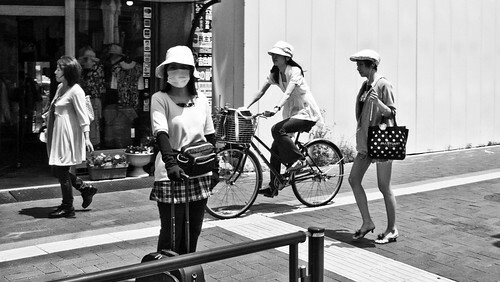 Tokyo Mass Transit. 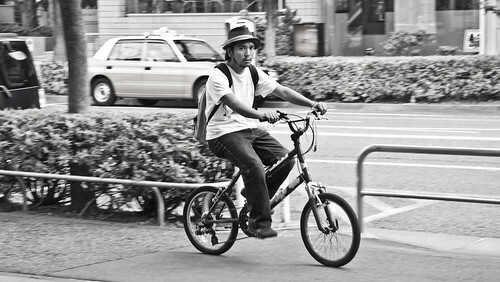 Japan is just as saturated with bicycles as Denmark and Holland. 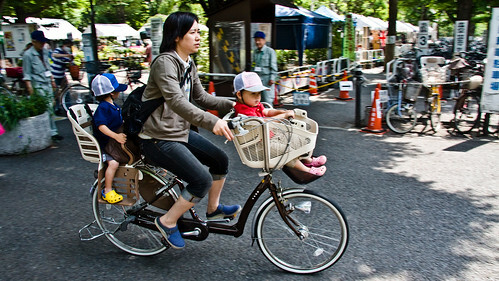 Tokyo supermum with her kids on a classic mamachari bicycle. Those kids ride in style and comfort. Great Pics. Love the website. Aghhh! I go on holiday and the RSS feed turns into summary only with no pictures. Can't we have the full feed back please? Carrying my 40 lb son on the back is work. I can't imagine another 20 lbs on the front!